Red rose muscat is an typical Istrian variety. 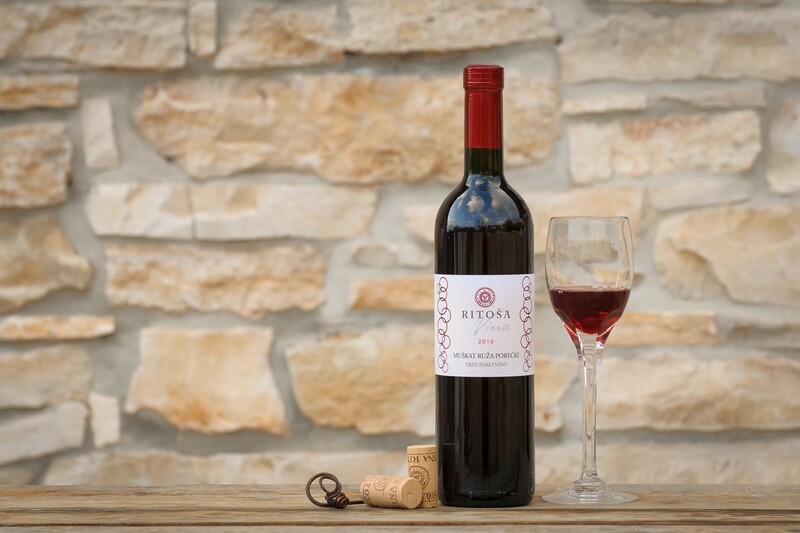 The wine has a vibrant ruby red color, a red-rose-like aroma that is permeated with cranberry and citrus notes. This is semi-sweet wine, with the ideal ballance of sugar residue (30 g / L), acidity and tannins. Consume cooled to 10-12 ° C, with dry desserts, or meals with sweet sauces. Copyright 2014 -- Design by: PRIZMA DESIGN d.o.o.